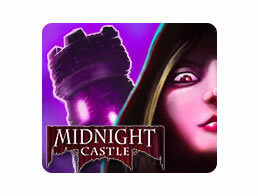 Midnight Castle Game - Download and Play Free Version! Complete Hundreds of Increasingly More Challenging HOGs While Uncovering the Truth. Your uncle was always a strange one; anyone living in a big scary castle in the 21st century would have to be. However, the strangest thing about him had to be his untimely death. Nobody knows what exactly happened, why it happened, or why he named you as the sole heir to his estate. It's now your mission to find out. Search the castle from top to bottom for clues. A lot of secrets are stashed away in the clutter of your uncle's home, and at the root of them all is the fabled Chamber of Wishes. If you can find it, you just might be able to put this mystery to rest. 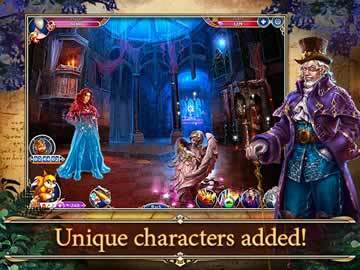 Midnight Castle is one of the largest hidden object adventure games you will likely ever experience. Many treasures lurk within the walls of your new estate. Finding them all will require a lot of patience and a keen eye for detail, so you better hop to it! Play an endless number of HOGs. HOGs get more challenging the more you play them. Features randomized scavenger hunts. Every time you begin a new HOG, the size, position and appearance of the objects change to keep you on your toes. Use the hint button to highlight a random item on your list. Don't abuse it; it has a long recharge time. Find consecutive items at a rapid pace to increase your yield of experience. It won't do to search blindly around the castle. You'll need to turn to its inhabitants for help. They will be more than happy to lend you a hand, though not without a price. Explore dozens of rooms and chambers all across the castle grounds, including the rock garden, well, outer inn, crypt and so on. Unlock new rooms in the castle by solving puzzles, acquiring keys, or spending gold that you find in your searches. Chat with a variety of odd and possibly inhuman characters like Annabelle the beautiful vampire, the always dutiful Iron Knight, and your monocle-wearing raven companion. Accept quests from the castle's residents to figure out what to do and where to go in your mission to find the truth. Quests appear on a handy list of objectives. No need to backtrack! Just click the button on your objective list to automatically warp to the place you need to go. Sell excess items you don't need for extra money. Ship certain quantities of items at the Airship Dock. If you can do so before the ship leaves, you'll get some rare prizes. Give various items, like Murderers' Eyes and Soul Shards, to the castle's patrons. They just might give you something in return. Includes a robust crafting system where you can combine items together into one very useful artifact. Use a variety of magical relics to enhance your searching. Highlight every item on the list with the crystal ball, grab every item automatically by waving a wand, and more. Befriend a menagerie of pets that will help you on your quest, including owls, manticores and dragons. Keep them fat and happy with the right food. There's no need to explore the castle all by yourself. Seek a little help from your fellow players to make the investigation less lonely and more timely. Send gifts to your friends in the form of items, gold, gems or surprise packages. Trade items with other people so that the both of you can get on with your respective missions. Give your player profile a unique name and image so that everyone can recognize you online. 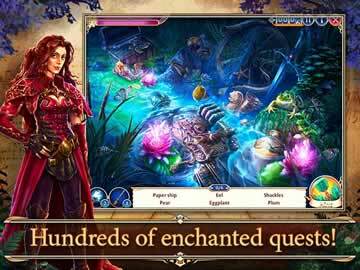 Midnight Castle is by far the biggest and most expansive hidden object game out there. With the astounding number of quests to complete and rooms to explore, you can and likely will lose dozens of hours just finding every knick-knack stashed away within the castle walls. Needless to say, Midnight Castle provides a lot of bang for your buck; that says a lot, especially since you can play it for free!